Full service digital agency Deepend has appointed Nitin Mistry to the position of creative director. Mistry’s reputation has been built on fifteen years of digital leadership and innovation across Australia and the UK, bringing a wealth of experience and talent to Deepend and its sister agencies which comprise the Deepend Group. 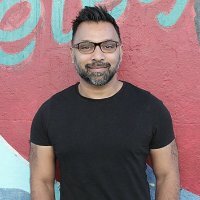 Before joining Deepend, Mistry was the creative director of Orchard where he provided the creative leadership for several prominent clients, including Westpac, Cancer Council and Bayer. He also played a pivotal role in substantially expanding the client roster and tripling the size of the creative department. Prior to working at Orchard, Mistry was the digital creative director at Make M&C Saatchi, where he was part of the successful team who secured the Commonwealth Bank as a client. He is also an internationally awarded digital advertiser, having received numerous awards at The Globals, Clios, Webbys and Cannes Lions. Mistry will work alongside Deepend’s general manager and head of strategy Dan Robathan. The duo will future proof Deepend’s creative and strategic output for a rapidly changing agency landscape.